Our population is growing rapidly. Human impact on the earth is increasing exponentially and the demand for cleaner, greener sources of energy continues to rise. We want hybrid cars, wind turbines, solar cells and energy efficient appliances. We want stainless steel kitchens, cell phones, computers, TVs and tablets. None of this would be possible without copper, nickel, platinum group metals and more. Our lifestyles – and the shift toward a sustainable future – rely on the responsible and safe extraction of metals. Demand for metals has increased, but relatively few mines in the U.S. produce them. Instead, we import nearly 90 percent of our platinum, more than 50 percent of our palladium, and about 35 percent of our copper and gold. The U.S. currently only has a single active nickel mine. Even with the high rate of recycling, the demand for these metals far exceeds our national and global supply. We must begin to produce more of these metals here. By meeting Minnesota’s strict environmental standards, and with today’s modern mining techniques and processes, we can mine the metals we need every day safely and responsibly. American life simply could not exist without copper. We depend on it for electrical and plumbing applications. It is malleable, corrosion-resistant and has antimicrobial properties. Copper wiring is a critical component in wind turbines, solar farms and power generation. 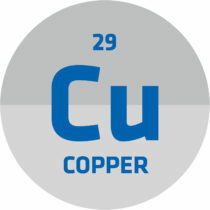 Transmission systems, electric or hybrid cars, electronic devices and domestic appliances all rely on copper. You’d be hard-pressed to walk into an American home without finding nickel, since this metal is primarily used to make alloys like stainless steel. It’s an essential element in many industries including aerospace, healthcare, restaurants and utilities. 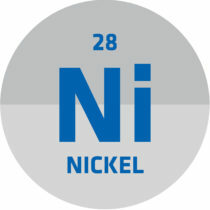 Nickel is also required in rechargeable batteries, making it a critical component in hybrid and electric cars. Imagine life without magnets. It seems almost silly, but we use magnets every day without a second thought. 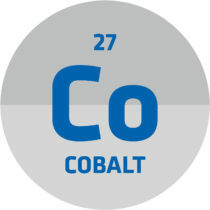 Cobalt can be magnetized and is used to make simple household magnets, rechargeable batteries, aircraft engines and cardiac stents. Cobalt-60, a radioactive isotope, is often used in cancer treatment. The NorthMet deposit contains 352,000 pounds of cobalt, which can be used to improve the lives of so many. 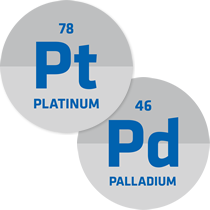 Platinum and palladium play important roles in modern society. They serve as primary components in catalytic converters for cars, trucks and buses and can be used to convert emissions from the vehicle’s engine into less harmful waste products. Platinum also is used in fuel cells, diabetes test strips and different types of chemotherapy medicine. Palladium is an important element of many electronic devices. Life as we know it would be very different without these essential metals. Most of the precious metal we will extract from the mine is palladium. There is so much more to gold and silver than jewelry. We use both of these metals in a variety of ways, often unseen. 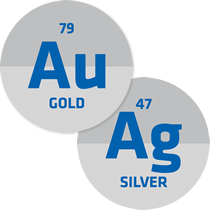 Gold and silver are important components in circuitry and electronic devices. Both metals are used in dentistry and a variety of medical applications. Gold and silver are recovered during the copper refining process, and we expect to find meaningful amounts in the NorthMet deposit.